VERDICT SEARCH HAS SELECTED THE LAW OFFICES OF MICHAEL A. FIUMARA’S $5.26 MILLION DOLLAR PREMISES LIABILITY CASE AS NUMBER 1 IN THIS CATEGORY OF CASES IN THE STATE OF CALIFORNIA FOR 2014. BEING FIRST HAS ITS BENEFITS AND HOPEFULLY WILL ATTRACT OTHER WELL DESERVING CLIENTS TO RECEIVE THE HELP THEY NEED TO DO BATTLE WITH GOVERNMENT ENTITIES AND LARGE AND POWERFUL INSURANCE CARRIERS. THE CONSULTATION IS ALWAYS FREE AND CONFIDENTIAL. (SCOTT, PUT LINK TO 5.2 MILLION DOLLAR RESULT AND RESULTS IN GENERAL HERE). Have you ever been injured due to a negligent property owner? The cases in which property owners are found to be liable for injuries commonly known as “premises liability cases” include, but are not limited to the workplace, visits to commercial or industrial sites, both indoor and outdoor swimming pools, or on the property of a private individual or that of a public entity such as a city or municipality. Liability will depend upon whether the dangerous property condition that caused your fall, slip, trip or other mishap was more than just a trivial occurrence and if the owner, (a person or entity responsible for maintaining the property), knew or should have known of the condition or the risk. Premises liability law covers both public and private property owners, however, if your injury took place on state or city owned property like a roadway or sidewalk, you may have a much shorter period of time to bring a claim because the statute of limitations is shorter. It is imperative that you talk with one of our highly skilled and knowledgeable personal injury attorneys early on so that you understand your rights to compensation. A six month or shorter time frame may preclude you from filing your lawsuit, so schedule an appointment with us immediately at (855) 247-3190. YOU don’t want to miss your opportunity to get full compensation for your injuries and pain and suffering! Construction workers have one of the most dangerous jobs in the United States. The Occupational Safety and Health Administration (OSHA) has been set up to help reduce and prevent workplace types of accidents through the U.S. Department of Labor. OSHA has set up many different regulations and standards that must be followed by employers and employees in the construction industry. Unfortunately, when these regulations are not followed, serious and fatal accidents can result. All injuries and fatalities in the construction industry should be reported to OSHA immediately. A majority of the reported accidents are caused by falls, slips, and trips. If you or someone you care about was involved in this type of accident, contact the Fiumara Law Firm personal injury attorneys to discuss representation. The Fiumara Law Firm brings law suits on behalf of injured workers and grieving family members who have suffered pain and loss due to on-the-job injuries related to a liable third party. This is the leading cause of injury and death in the construction field. Scaffolding and improper use of scaffolding are the primary reasons for construction falls and deaths. There are over 300 fall fatalities that have been reported in the construction industry annually. According to statistics from OSHA, there are “tens of thousands of serious injuries each year” relating to nail guns and related tools. Out of all the tools commonly used in the construction industry, nail gun accidents cause the highest number of hospitalization injuries under premises liability. These kinds of catastrophic injury accidents usually result in fatalities or permanently debilitating, catastrophic types of injuries because of the size and weight of these massive construction devices. OSHA has implemented requirements for the assembly, disassembly and the operation of these cranes and derricks to prevent avoidable accidents, but it has only slightly reduced the number of deaths. There is a clear distinction between being compensated through Workers’ Compensation insurance which is provided through your employer versus insurance that is provided by a third party entity who may be responsible for your injury. However, most construction workers are entitled to work injury benefits through Workers’ Compensation insurance. In the event that you are injured at a construction site accident, you must immediately notify your employer or supervisor so that they can notify their Workers’ Compensation insurance company so that you can receive the coverage you need to pay for all necessary medical expenses and work leave. If you accept Workers’ Compensation insurance, that releases the employer from being named as a defendant in a work injury lawsuit, but some injured construction workers, depending on the facts, have the ability to file a third party insurance claim against the party at fault other than the employer. Don’t hesitate to contact any one of our highly skilled and experienced Premises Liability Lawyers at the Law Offices of Michael A. Fiumara to explain your rights and obligations at (855) 247-3190. Third party insurance claims are distinct from Workers’ Compensation. A third party insurance claim is NOT between a worker and his/her employer. A third party claim may be filed by the injured worker against an outside or “third” party. An example would be that the worker has a claim against the manufacturer of a defective jackhammer that malfunctioned thus injuring the construction worker. Although it is true, the worker can claim Workers’ Compensation insurance benefits, he/she may also be able to hire a personal injury attorney premises liability attorney to file a lawsuit against the manufacturer of this piece of construction equipment, i.e. the jackhammer IN ADDITION to filing the Workers Compensation Claim with the Employer—Let us help YOU with both! You are advised to speak to any of the Premises Liability Lawyers at the Law Offices of Michael A. Fiumara to find out if you have the ability to file this type of lawsuit for additional compensation. Another source of a premises liability claims or lawsuits for injuries are swimming pools. Although swimming pools are equated with recreation, it is unfortunate that many kinds of injuries and fatalities occur in and around swimming pools. When you or a loved one has been injured in a swimming pool accident, or if you have suffered an illness due to unsafe swimming pool conditions, you need an experienced, compassionate and determined Premises Liability Attorney from the Law offices of Michael A. Fiumara Law personal who can help you obtain the FULL compensation you deserve. Unfortunately there are many types of swimming pool and drowning accidents. It doesn’t matter if the Premises Liability accident, injury or death occurs at a public pool or a private swimming pool that belongs to an individual homeowner or condo association, the negligence and wrongful acts of others or third parties make them liable for compensating victims. The owners of private swimming pools can also be held liable under premises liability for unsafe conditions. These conditions can include a lack of supervision, defective equipment, a lack of safety gates, unmarked or poorly marked water depths, and other forms of negligence which contributed to the accident or death. Public pools are held to health and safety standards which is supposed to prevent harm to the public. Accident injuries, deaths and drownings that occur at public pools are often the result of poorly trained or understaffed lifeguards, overcrowded conditions, slippery surfaces, defective drains, unmarked or poorly marked water depths, and other dangerous conditions which have could be linked to the cause of the accident, injury or death. If you or a loved one has experienced or suffered any of these kinds of Premises Liability injuries or a fatality please feel free to speak to one of our experienced and skilled personal injury and premises liability attorneys at the Law Offices of Michael A. Fiumara for a free and confidential consultation and case evaluation at either the Santa Rosa in Sonoma County at 707-571-8600 or the San Rafael, Marin County office at 415-492-4507. If you call after hours please tell one of our helpful operators to connect you to any one of our premises liability lawyers and we will immediately speak with you and help will be on the way. Accidents involving animals including farm animals and livestock are all too common in the North Bay area where rural meets city. The injuries these accidents cause can be very severe, including whiplash, fractures, back and spinal cord injuries, brain injuries, and even wrongful death. WE have represented victims seriously injured when cows and other livestock escaped from their rusted pens or escaped because of inadequate and poorly maintained fencing. 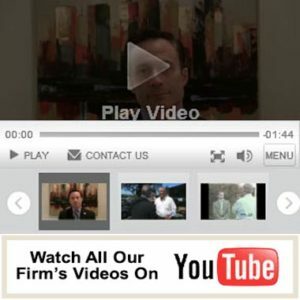 The highly skilled and very experienced premises liability attorneys at the Law Offices of Michael A. Fiumara have a long tradition and reputation of helping accident victims restore their lives to normal by filing personal injury lawsuits against negligent animal owners. Oftentimes farmers and ranchers will not properly maintain their fencing and other barriers which keep their livestock and farm animals separated from transportation hubs and roadways. Our skilled attorneys and paralegal staff will also help you file the appropriate paperwork to get your own insurance carrier to provide you with any available insurance coverage until your lawsuit is finalized. The premises liability lawyers at the Firm help you receive the compensation you need to pay medical bills, make up for lost income, and get the necessary medical care to make a full and speedy recovery. PLEASE CLICK HERE FOR SOME OF OUR MOST RECENT RESULTS ACHIEVED ON BEHALF OF OUR PERSONAL INJURY CLIENTS) ) (SCOTT PLEASE INSERT CORRESPONDING LINK, EMAIL US IF ANY QUESTIONS and delete this language from the website and replace it with the link). Please call us today at 707-571-8600 or 415-492-4507 to learn more about your rights and for a free, confidential consultation and case evaluation. We have two convenient locations one in Santa Rosa and the other in San Rafael. If you call after hours you will be connected to one of our experienced, skilled and compassionate premises liability attorneys. Because we work on a State Bar allowed contingency fee arrangement, we collect no attorneys’ fees unless and until you recover on your claim whether this is by settlement or by jury verdict. The Law Firm advances or necessary costs and expense to maximize you final award or settlement. The Law Firm believe in committing substantial resources to thoroughly investigate your case, hire the best experts and recover all necessary expenses to ensure success. If we win, we recover these costs and expenditures. If we do not win or we are not successful, you owe the Law Offices of Michael A. Fiumara nothing. The first thing that we suggest you do after a car accident involving an animal is to check for any injuries to the driver or passengers. If there are any severe medical injuries, it is advised to call 911 and get immediate medical attention. The second step is to call the police and have them file a report. If a domestic animal such as a dog, cat, sheep, horse, cow, pig or other form of livestock is hit or struck, the owner will be notified by the police (or the county or city Animal Control) if their identification or ownership can be determined. The owner of the animal may have some liability, especially in the case of livestock. This depends upon whether the owner failed to properly maintain fencing, and other barricades that could have prevented the farm animals from getting onto the roadway. Notice and previous other documented instances really make a difference so it is imperative that you speak to an experienced and skilled premises liability attorney from the Law Offices of Michael A. Fiumara before you speak to any insurance adjuster. We advise that you examine the animal, however, please be careful when approaching an injured animal. Notify the police that the animal is still alive when you make your initial phone call to either 911 or to the police since they may need to take measures to put the injured animal down or call for veterinarian assistance. Even though there may eventually be a police report, it is in your best interest to take photographs of the scene and obtain any witness names, contact information and even obtain a written statement if possible from any of the witnesses at the scene. This is more important if the animal was not hit but you swerved to miss the animal and caused either property damage or injury to yourself or your passengers. We advise you to always take photos or pictures of the damage, skid marks and other relevant details of the scene of the accident which may be vitally important later. Oftentimes insurance companies will get to the scene and try to make an assessment after a car accident with an animal. This is often due to their desire to find the driver negligent in driving with the absence of either due care, inattention to the road, and weather conditions if applicable at the time. Having an experienced and highly skilled attorney on your side who will legally advocate and strongly represent your interest to the insurance carrier adjuster is essential. Significant property damage and/or medical injuries that occur during these types of premises liability accidents must be immediately reported and documented. In addition, one of our compassionate and experienced personal injury attorneys would be happy to advise you of your options with regard to your probability of success in a lawsuit and how you might best negotiate with the insurance company to get a quick, but full settlement that you are entitled to receive based upon your injuries and property damage. It is vital that you get the professional help that you NEED and deserve. Please feel free to call us for your free, confidential telephone consult and case evaluation or you may decide to meet us in person at either one of our two conveniently and centrally located offices in either Santa Rosa or San Rafael, California. The parking is Free and weekend and evening hours are always available. If you are unable to come to us, we will go to you.